Savoy Companies is a uniquely diversified company specializing in real estate development, new construction, rehabilitation and real estate investing. Savoy Companies has decades of industry experience and expertise to create high quality, high value properties and residences. Savoy Builders is quickly gaining recognition as one of the premier builders of single family and multifamily homes. Savoy Developers continues to utilize it's market expertise to purchase and develop tracts of land into housing and commercial developments. Savoy Holdings also has a growing portfolio of attractive rental properties and real estate notes in thriving neighborhoods and communities. Savoy Companies has unparalleled skill in determining the market needs and providing a product that is most desirable. “Surprises” are the enemy of any building or remodeling project. For well over 30 years Hoebeke Builders, Inc. has been demystifying the building process for clients, so they know exactly how their money is being spent. Through simple team building, strong communications, and a unique documentation system, our clients always know ‘what’s next’ and ‘how much.’ Experience suggests this to be the most successful formula for consistently delivering the highest quality home in the most efficient manner. 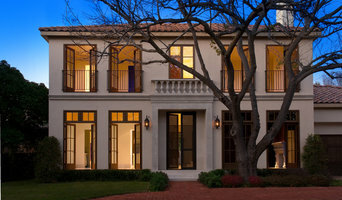 Bob and Philip have been building Dallas' most beautiful homes since 1983. 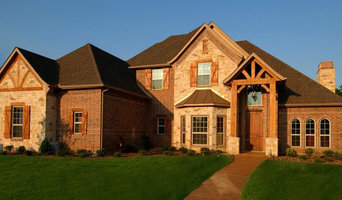 Royal Restorations is a Design and Build Remodeling and Construction company - located in Coppell Texas. Custom home design, build & remodel. Specializing in Green Building. We are a talented team, eager to help you explore & develop your ideas to arrive at the optimum design for your home to achieve your dreams and keep your budget. All our new homes are third-party certified under Energy Star and Green Built Texas; we are committed to exceptional energy efficiency and exceptional quality, and we utilize the scrutiny & rigor of these programs to help us achieve it. Magnificent design and meticulous construction is in the DNA of Keen Homes. We are conscious and conscientious regarding the style of today's home buyers and the detail in every Keen Home reflects their success. The uniqueness of your Keen Home is as unique as your taste. Home Building is both a discipline and an art form. The processes utilized by Keen Homes make it easy to design, easy to build and easy to own. We thoughtfully anticipate your needs to match your style with the home's livability. Check out Keen Homes and discover how beautiful and enjoyable the new home experience can be. Custom fabrication and design, Specializing in reclaimed materials. We create spaces for living. Trinity provides a completely custom tailored design + build experience. We concentrate on new construction, major renovation and remodeling in the Dallas Fort Worth Metroplex and surrounding areas. Our turnkey service begins with the design. Join our team to create a completely custom plan that revolves around YOU and your family. We don’t have stock plans or basic options and upgrades; every project is as unique as the family who will live there. The Trinity Design-Build difference makes you part of the team. A team focused on customer service, expectation management, and excellent communication. We patiently work with you and your family till we fully understand your dreams and needs in a new home. Then we create a complete expectations list. Frequent communication by keeps you current on all project details and expected milestones. As an informed team member, you can watch your dream home progress. The Trinity Team strives to provide a different kind of construction experience. New clients become team members that are comfortable calling on us again and again. Let us show you the Design + Build difference. Michael and Marcus Taylor bring a total of over 65 years of construction experience to the business. English Heritage Homes of Texas was formed in 1995 to carry out residential remodels and new construction, and allowed father and son the opportunity to work together passing on to a fourth generation the experiences of construction, while also having a policy of quality and integrity that has allowed the business to grow on referrals from both architects and previous clients and during that time emphasis is put on forward planning and high levels of supervision on a day to day basis, with supervisory staff reporting directly to the owners. Since inception in the region of 150 projects have been completed ranging from high rise apartments, new construction up to 20,000 sq. ft. to remodels and additions to existing homes. Luxury Edition Homes, Build-to-suit and Green Built homes are our specialty. We have been honored to work in some of the finest areas of Dallas, Texas such as Highland Park, University Park, Preston Hollow, Lakewood, Forrest Hills, Oak Cliff and Frisco. Design + Build firm located in Dallas, TX. We believe in timeless design, and that form can live in harmony with function. We customize your project to maximize your Budget + Style + Lifestyle + Enjoyment. We want you to love where you live! Building dream homes is at the heart of what we do. 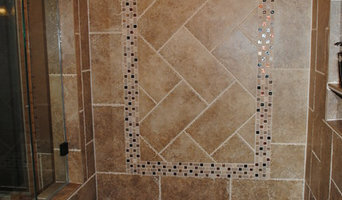 Our attention to fine detail and construction finishes make the final product superior in both quality and workmanship. Our vision is to take your dream home from concept and design to reality, all within your budget. 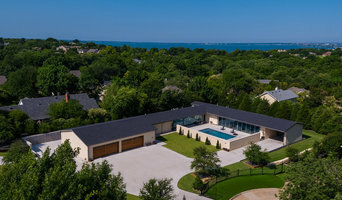 Gorman Homes has been remodeling and building custom homes in the Dallas area since 1983 in areas including State Thomas, University Park, Highland Park, Preston Hollow and North Dallas. Each of our homes has a unique design, reflecting the personality and lifestyle of the homeowner. Howard Gorman, president, is a graduate from The University of Texas at Arlington with a Bachelor of Science degree in Architecture. Howard enjoys working with clients through the design process of their home, through completion of their vision. "I take great pride in working with the client to understand what they want," said Gorman. "and to make it happen with the budget that was created." Faulkner Design Group's mission is to develop and deliver interior design and interior architectural solutions that have a significant influence on the people we touch. Our goal is to set the standard in creative thinking, innovation and concern for the environment in a way that benefits and inspires people through the spaces we create. Everything we do, from design, to architecture, to procurement, to installation, impacts the lives of people in a positive way.